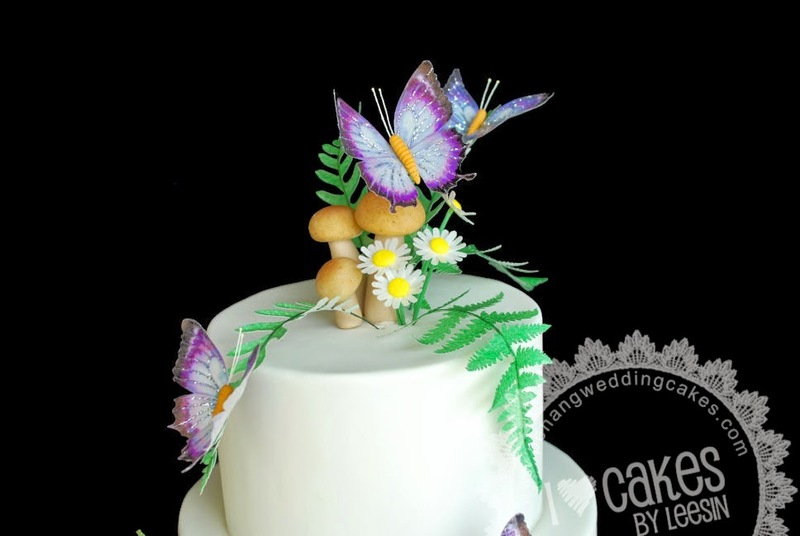 "My fiance loves purple butterflies" ~ Mark's only request. 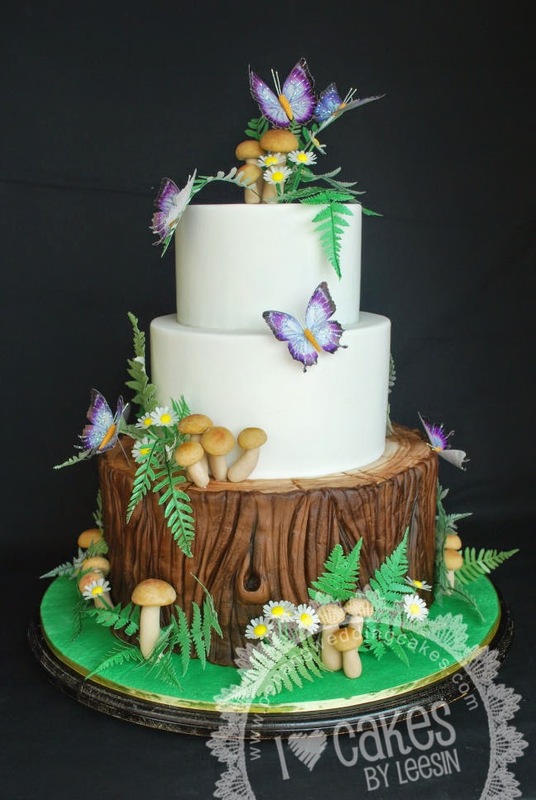 This means I have a free hand in creating this cake for the couple. Yay!!! 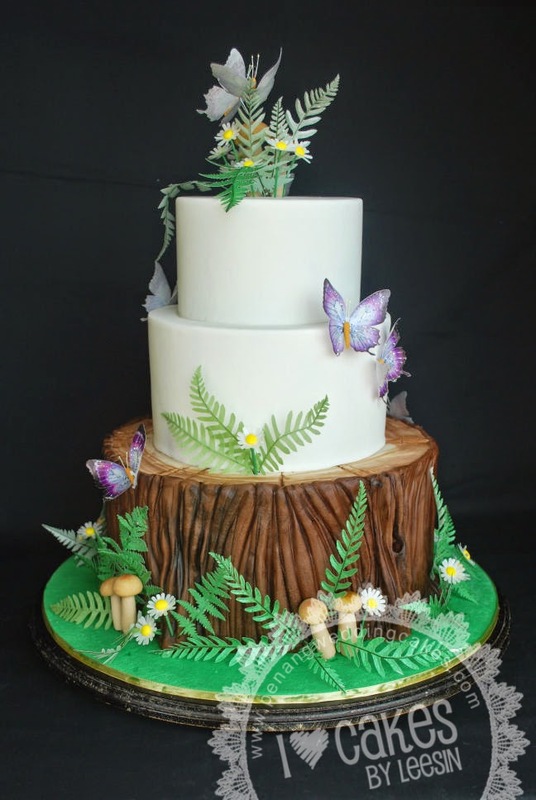 From the first email I have a feeling that this couple loves fantasy kind of thing since they suggested a unicorn cake. 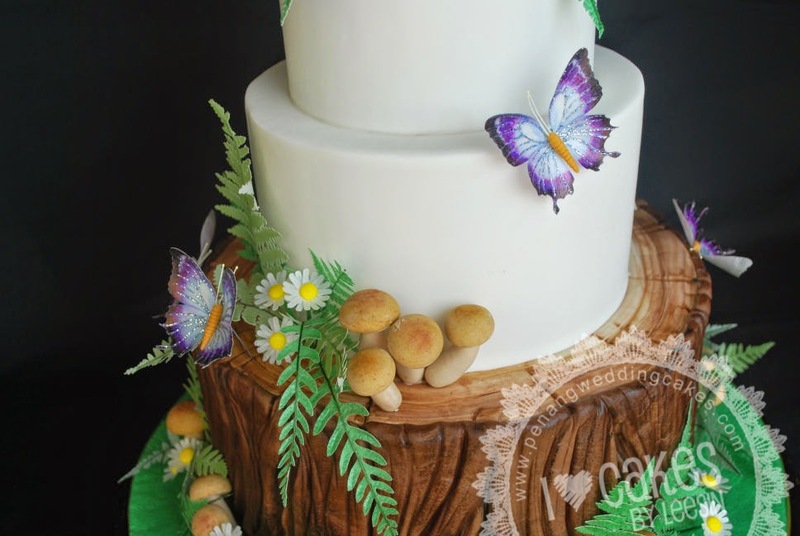 So my proposal was met with great excitement from the groom....a Fantasy Forest cake with ethereal looking butterflies and ferns on 2 tiers of white cake with a bottom tier as 'tree trunk' complete with 'chocolate barks', wild flowers and mushrooms. 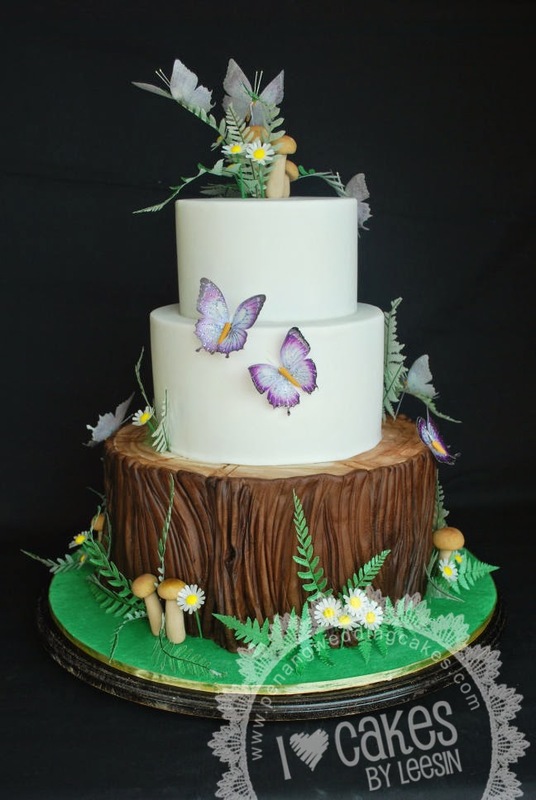 The butterflies were printed on wafer paper, cut and then lined with glittering sliver veins. 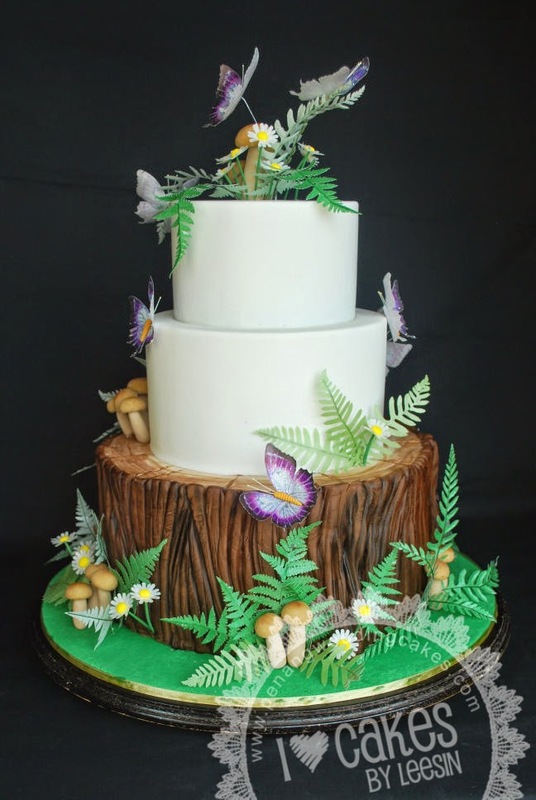 Ferns were drawn on CorelDraw first then exported to Silhouette software. They were then cut out using my new toy Silhouette Cameo on wafer paper too!!! Talking about green ferns I had to spray the paper first....causing green dust all over my apartment, body and clothes and inside my nostrils! Hahaha...female Hulk. Anyway it was a big step for me...handling a new hardware and software at the same time besides a new medium. 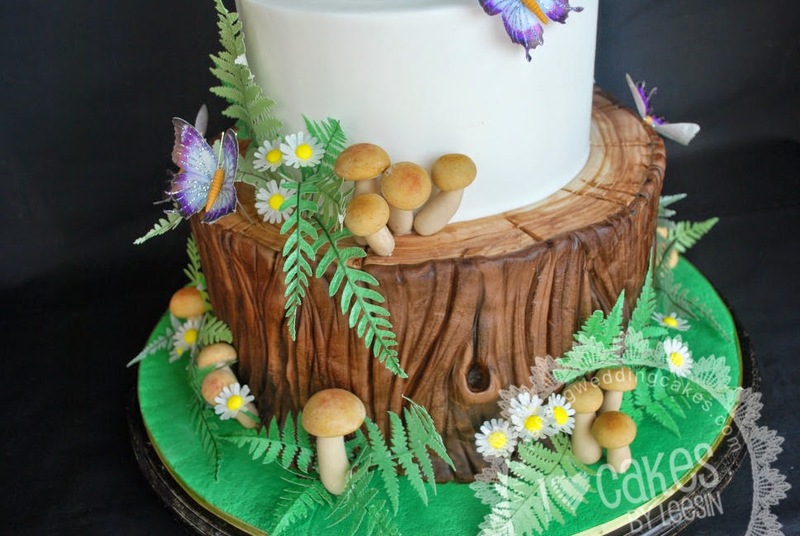 (I cannot contain my excitement I even made my first peonies and roses since no big flowers were involved in this cake...see my earlier posts). Ahhhh...I am falling deeper and deeper in love with this wafer paper. 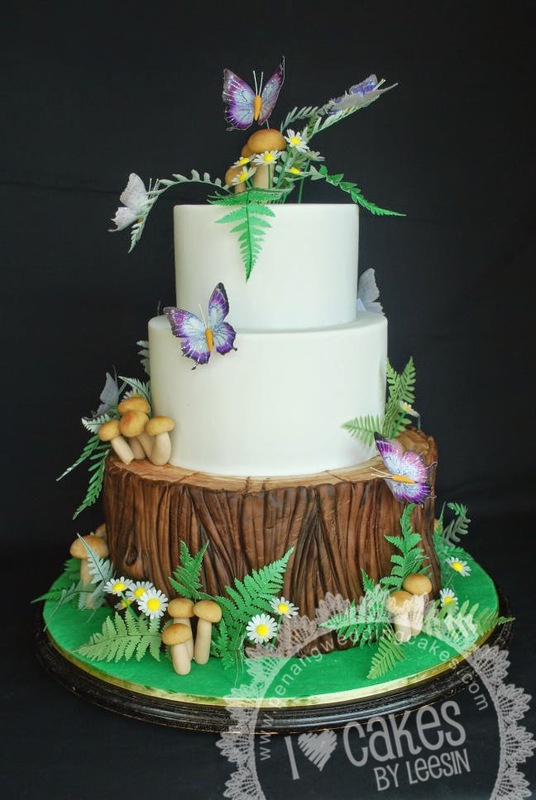 With the sugar paste mushrooms/toadstools and the translucent ferns, butterflies and wild flowers....the whole cake looked so ethereal. It was simple yet beautiful. The wedding dinner was held in a restaurant by the sea. 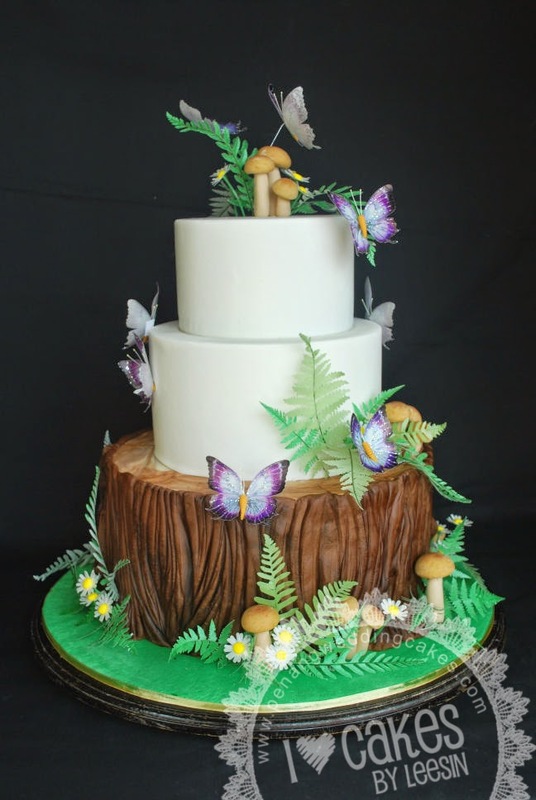 Imagine the butterflies fluttering lightly and ferns move when the sea breeze flowed in!!! Ahhhh...can you see that in your mind's eyes too? ?